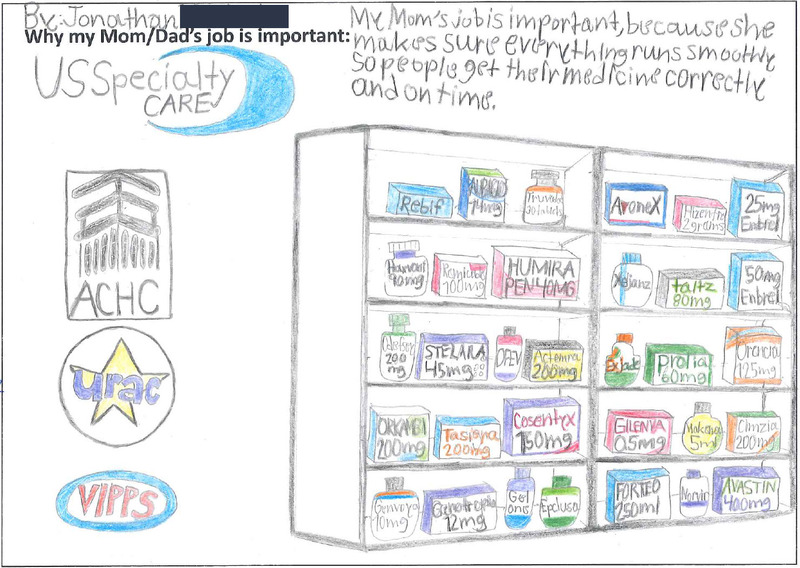 We had our customers take these coloring page templates home and ask their children to draw: "Why they think pharmacists and pharmacy care providers are important." We did this as a way to connect all of our customers and their families across the country and show the true value of why you do what you do every day. It effects everyone not only in our work lives but our personal ones as well.